Many medical research areas have a strong focus on individual or even molecular level. It is equally important, however, to study the role of society as determinant of individual health across the life-course. Social Epidemiology considers interactions between the individual and the society in which the individual lives in order to identify factors that influence health, disease risk and health care utilization. In so doing, we apply and develop innovative research methodologies while bringing together a multidisciplinary team including expertise in the fields of medicine, biology, epidemiology, statistics, sociology and anthropology. 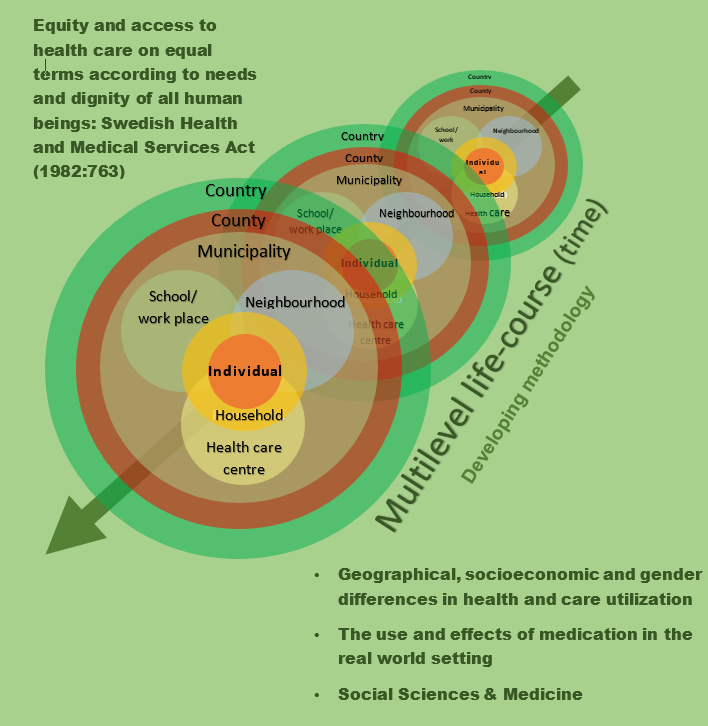 Much of our work aims at understanding the reasons and mechanisms leading to the existence of geographical, socio-economic and gender differences in health and care utilization. We perform research in Pharmacoepidemiology and Health Care epidemiology aimed to investigate the use and effects of medication and the performance and quality of health care.